If you want to flash your Redmi 6 Pro (M1805D1SI) phone with stock ROM. So you are in right place. Here you will find stock ROM & tool download link. If your Redmi 6 Pro (M1805D1SI) has issues, like- hanging, stuck in the boot loop (Hang On Logo) problem or unfortunately error comes again & again. So this flashing guide will help you to install stock ROM in your Redmi 6 Pro (M1805D1SI). In this flashing guide, I am gonna teach you. How to install stock firmware in the Redmi 6 Pro (M1805D1SI). And How to fix the software issue of your phone. If You Want to flash your Redmi 6 Pro (M1805D1SI) First, you must have to download the stock ROM of the Redmi 6 Pro (M1805D1SI) & Download tool. Now here you will get the official Redmi 6 Pro (M1805D1SI), Stock Rom & Download Tool. Before start flashing process of your Redmi 6 Pro (M1805D1SI) backup your personal data because, During the flashing process, your device’s memory gets formatted Completely. First, you must have to download the stock ROM of the Redmi 6 Pro (M1805D1SI). & MI-Flash Tool. 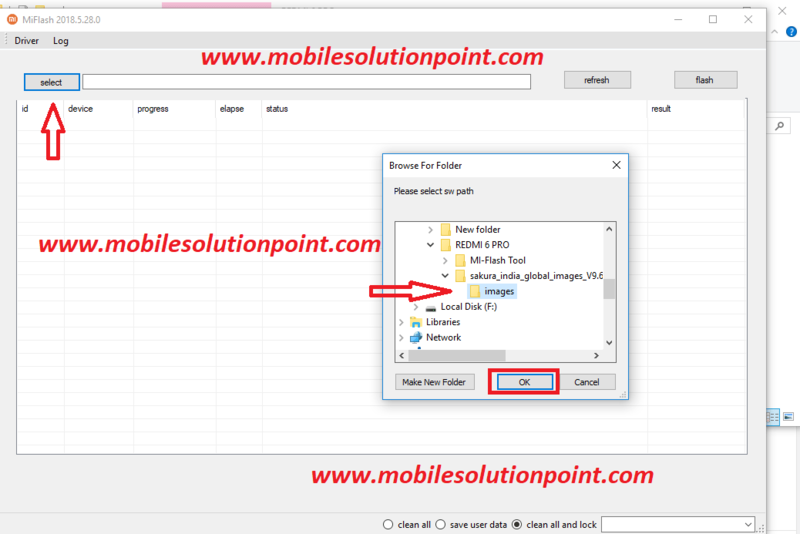 Both firmware & download tool is in zip file format. Extract both of them. 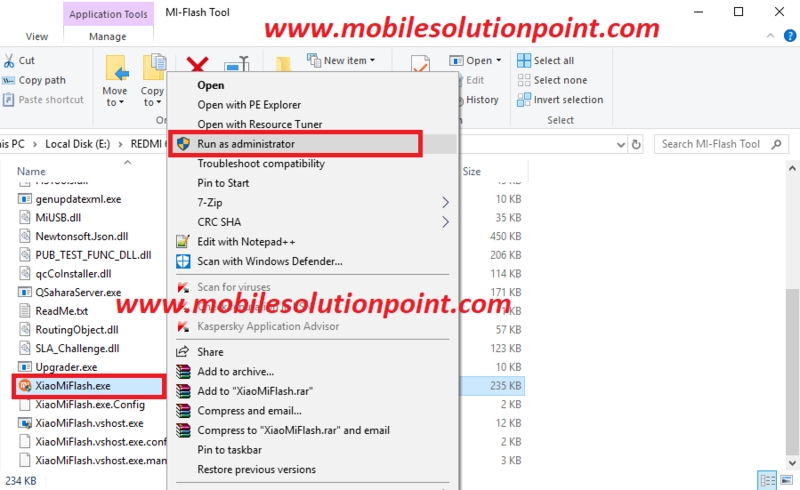 Now open XiaoMiFlash.exe Tool “Which is in MI-Flash Tool Folder”. See the image below. Then Click On “Select” & Browse For Redmi 6 Pro Firmware Folder. After Select Redmi 6 Pro Firmware’s folder then click on “OK”. See The Image Below. After that connect your phone in download mode (EDL mode) Via EDL test point.
. Now short these 2 test point with the help of tweezer or a jumper wire, then connect the USB cable to phone. 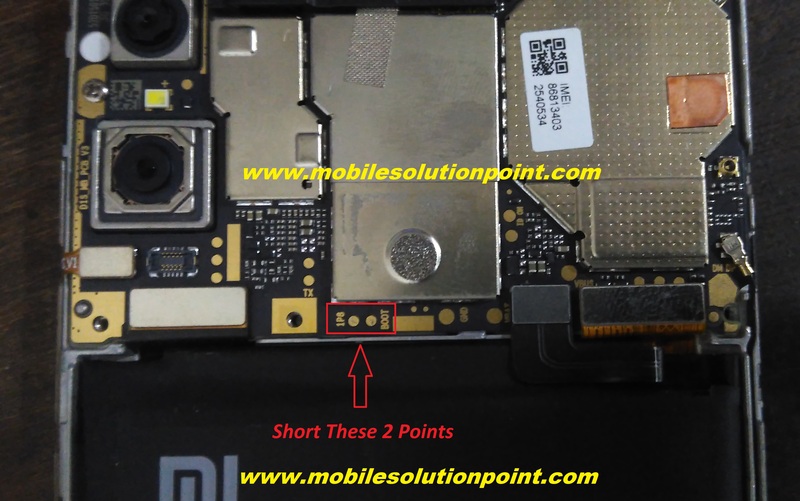 Short these test points until the device is detected by pc. then check in device manager your device is connected or not. 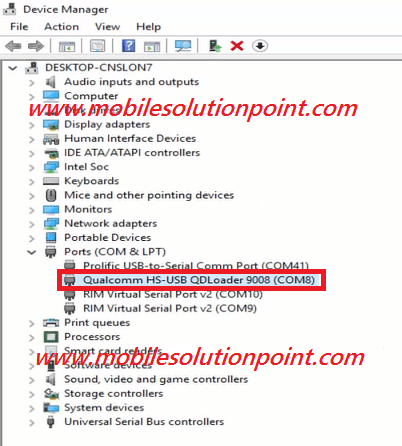 If your phone successfully connected to pc you will be seeing (Qualcomm HS-USB QDloader 9008) port in device manager. See the image below. After successfully connected your Redmi 6 Pro hit the refresh button then hit the flash button. See the image below.